Want To Get In On UltraHD Now, On The Cheap? By David Ponce on 04/16/13 • Leave a comment! 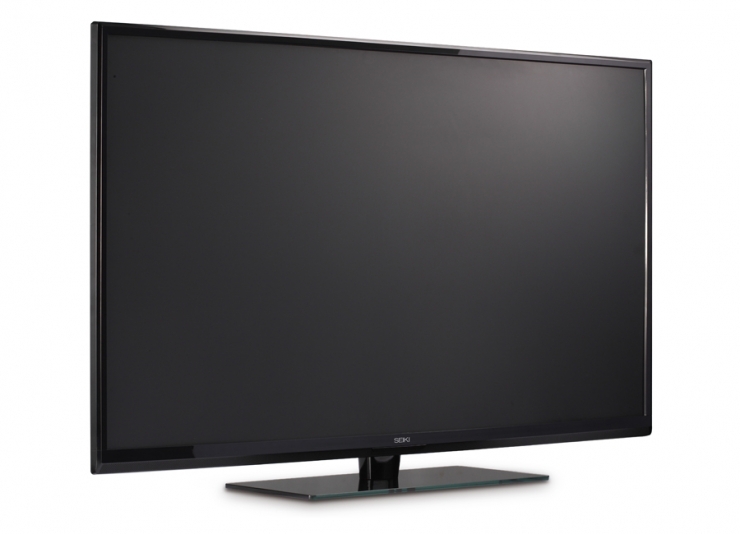 You’ve had an HDTV set for years and are thinking of getting something new? Don’t want to drop $5,000 to $7,000 on one of the newer 4K TVs from the likes of Sony? Well, you can still get in on the next generation of high definition resolution at a relatively affordable price if you’re willing to go with a lesser known company. SEIKI has started selling a 50-inch 4K2K Ultra HDTV for all of $1,500, a pittance in comparison to what the bigger names want. Granted, no one knows just how good the picture quality is; no one at OhGizmo! HQ has heard of them before. But at least you’ll know that the television you buy for a large and a half will have “3,840 x 2,160 picture resolution, 120Hz refresh rate, three HDMI ports and an HDMI 1.4 cable (for resolutions higher than 1080p), VGA port, 5000:1 contrast ratio, and a “one-year, no-nonsense, replacement warranty” in the U.S.” That’s not half bad, and TigerDirect is already selling them.